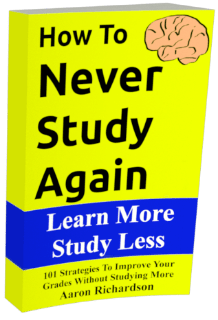 Q/A – Should I Improve My Grades? I’m majoring in engineering. I’m in my third year. I’m consistently getting B’s with the occasional C. I use a few of the strategies you recommend but I can’t really commit because I think my grades are fine as they are. I plan on just getting a job and I figure my grades will hardly matter. (I’m going to an average school. I don’t expect to be competing for anything too exclusive.) Am I missing something that should have me trying to up my grades? When you’re in college, grades are rarely a huge concern. As long as you’re pulling in high enough grades, they’re usually not going to end up haunting you. Naturally, if you plan on going for more than the usual 4 years then you may want to worry about them a little. If you’re competing for particularly exclusive jobs after graduation then you might also want to worry about them. You’ve made it clear that you’re not concerned about that. As far as I can tell, you really shouldn’t stress about the grades you’re getting beyond one reason. Getting B’s and C’s can be a sign that a student has good priorities and just doesn’t value investing more time in school. If that’s the case then good for you. Those grades can also mean that you aren’t studying great and are comfortable with mediocrity. From your message, it sounds like you’re applying the lessons on this blog haphazardly. You might have read an article like 101 School Hacks For Better Grades & A Better Life. Since you’re applying them, I think it’s safe to assume that you’re not particularly satisfied with your grades as they are. Just the fact that you asked this question makes me think that you really want to see your grades go up. Haphazardly applying studying advice won’t help. In any experiment, you need to control the variables. As long as you aren’t consistent about your strategy, even if you learn something useful, you’ll never even know it for sure. 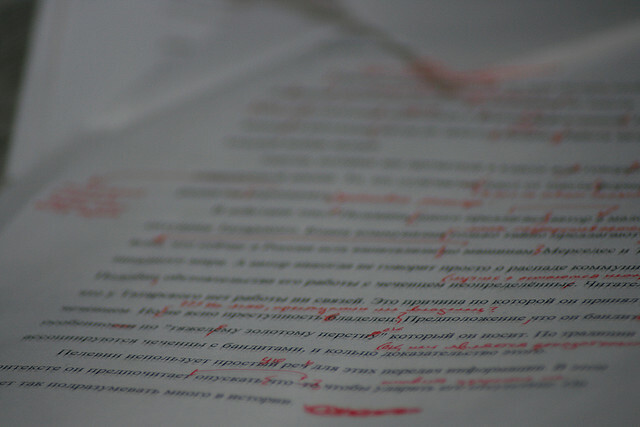 For readers looking to answer similar problems, there are a few factors you need to focus on. This reader did a great job of focusing on those factors in his question. Competing for grades should have some productive purpose for a student beyond just looking good. High school students should have some good reason to get good grades. Most commonly that reason is to get into a good college. That productive purpose for improving grades is powerful. Just having that specific goal can improve your ability to focus and study dramatically. There are plenty of other reasons you can aim to get good grades but in general, I think it’s much more important to have motivation to learn the information. When you learn the information, grades are just a consequence. If you can find a reason to learn the information, your grades may not always explode up fast but you’ll be much better off in the long run. So, don’t think in terms of grades if you don’t have to. Just worry about learning the right stuff for the right reasons. You can study in less than 15 minutes a night. That’s what this blog is all about. Be sure to follow along, check out the archives, and read the ebooks to learn it all. I always start fresh with a good mind to get full in my tests but end up wtniasg time and getting a normal pass.. as a result upseting my parents. I find it really hard to study faster and mostly feel lazy to put up my talents. I am a class 12 student, and its very important for me to work hard , I wake up early in the morning but tend to feel sleepy withing an hour.. Please advice its urgent. And I also have the habit of writing and studying as i cannot recollect if i dont write after learning. I feel it takes time thought its effective, any other method uyou can suggest. I agree that if OP’s futre work of choice isn’t highly competitive, there’s no point in wasting time on studying more. Grades hardly matter in life. What matters more is having a lot of experiences and gaining life skills, as well as having fun. Unless OP can easily get better grades, I wouldn’t worry about them in their place.